Fig. 3. Evaluation of synovial coverage. 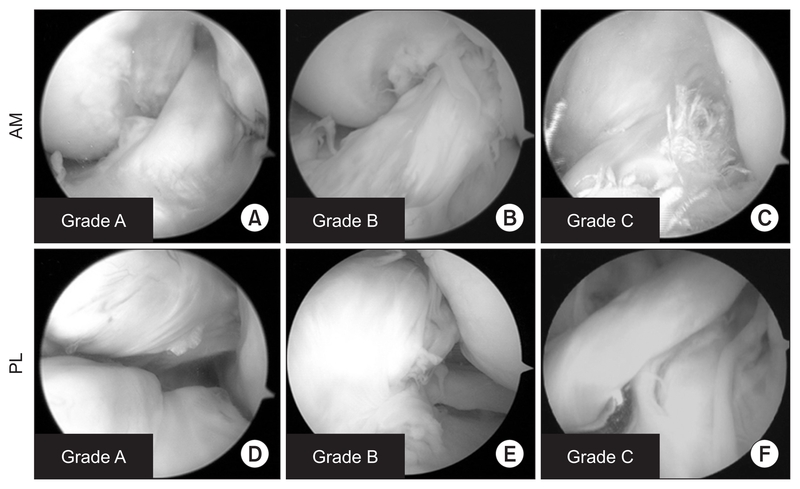 Arthroscopic grading of synovial coverage of the transplanted anteromedial (AM) (A–C) and posterolateral (PL) (D–F) bundle grafts. Grade A: synovium covers >75% of the graft (A, D), Grade B: coverage between 50% and 75% (B, E), Grade C: coverage <50% (C, F).